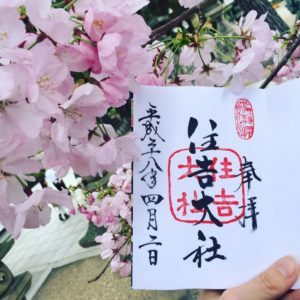 Here at Kamitowa, we love visiting temples and shrines all across Japan, and collecting the calligraphy and seals from each place we go. 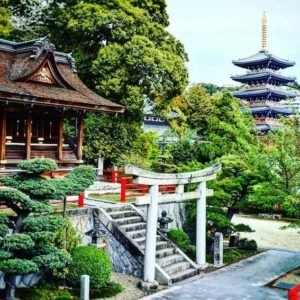 Please find below some of our favourite temples and shrines in Osaka, Kyoto and greater Japan which are great to visit and start your Goshuin journey! Located 30mins outside of Osaka in the mountains of Nose, Hontaki-ji Temple is a beautiful temple all year round. This temple is visited by dedicated worshippers who practice meditation under the waterfall from the mountain. 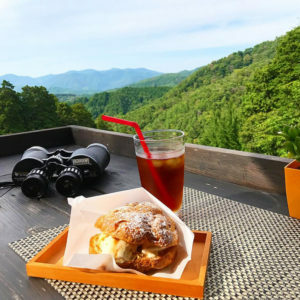 Visitors can also practice zen meditation in the meditation room with 3000 gold Buddhas, and there is also a mountain-side cafe where you can enjoy delicious coffee with an amazing view. 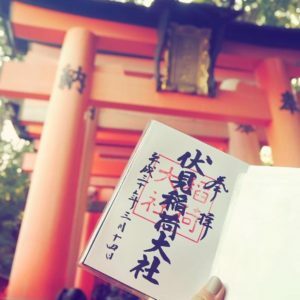 Sumiyoshi Taisha, also known as Sumiyoshi Grand Shrine, is one of the most popular shrines in Osaka, and is the main shrine of all the Sumiyoshi shrines in Japan. 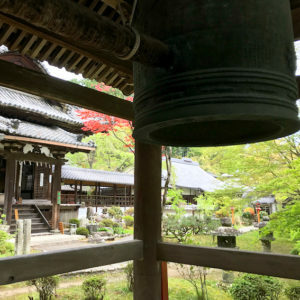 It was founded in the 3rd century before Buddhism came to Japan, and enshrines the kami (Shinto gods) that protect sailors, fishermen and travelers. 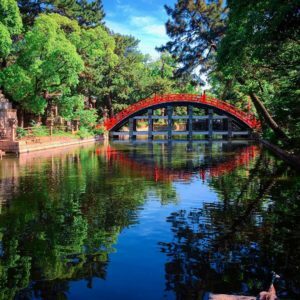 Sumiyoshi Taisha is mostly famous for its beautiful red bridge (Sorihashi Bridge) with the high arch reflecting off the pond waters. 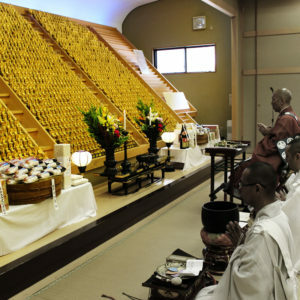 We have lots of favourite temples and shrines, but Shorin-ji is one of the temples at the top of the list. 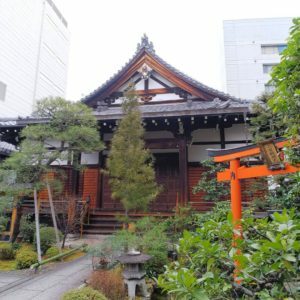 This small temple belongs to the Tofuku-ji school of the Rinzai sect, and is located a short walk from Tofukuji Temple; near Tofukuji Station which is the next stop from Kyoto Station. 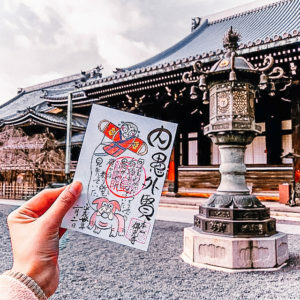 According to tradition, Shorin-ji was built in 712 to pray for the prosperity of the Fujiwara family, and this small but beautiful temple not only allows visitors to join in buddhist meditation, sutra copying, but also sit with the buddhist monk who will inscribe a one-of-a-kind design in your Goshuin book. The Kamitowa team have been back to this temple multiple times, and the Goshuincho designs keep getting better! 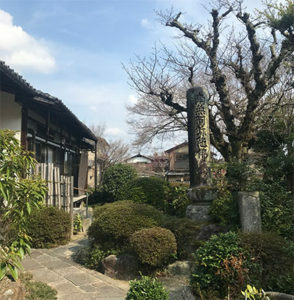 Located near the lively Potoncho area of Kyoto and a short walk from Kawaramachi Station, this small temple built as the family temple of Ito Jakuchi; a famous painter during the Edo Period. Born in 1716, Ito Jakuchu was famous for not only his own style of painting, but of incorporation western and Chinese techniques of ink rubbings and woodblock prints. One of his most notable prints is that of skulls, which is not common in Japanese art – and it is this you can receive to include in your Goshuincho. The colours of these skull prints change throughout the year (e.g. Jan & Feb 2018 saw wine coloured prints, neon pink and yellow). 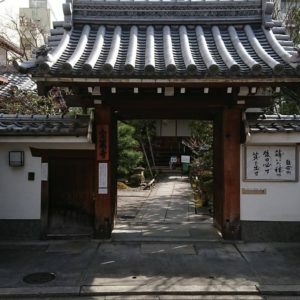 Bukkoji is a Jodo Shinshu sect temple in the Gion district of central Kyoto and easily accessible and admission is free. 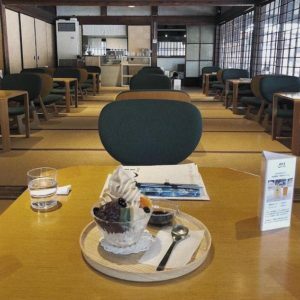 Built in 1212 by it’s founder Shinran-Shonin, the large temple grounds also feature D&Department Kyoto Cafe (which serves lunch and dessert) as well as a Gift shop/Gallery – selling products that have design value in every time period, and from regions all across Japan. 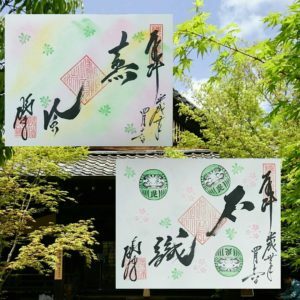 The temple has limited edition Goshuincho prints that change each month, so be sure to visit to collect a limited print. Jurinji is a small temple hidden away in the forests of Oharano above Kyoto and particularly beautiful in both spring and autumn. 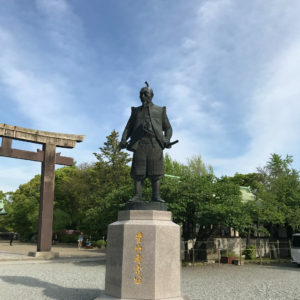 Ariwarano Narihara, a famous poet of the Heian period, lived at the temple from 825-880 and it is why the temple is also called Narihira-dera. 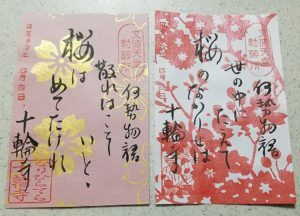 The monk at Jurinji speaks fluent English, so you can have long conversations with him, and receive a limited edition Goshuin for your collection. Jurinji has two small gardens, a pond as well as a salt burning area behind the temple. Inside the temple are beautiful paper screens as well as art from Sri Lanka, as a memory from exchanges with Sri Lankan monks. As this temple is a bit difficult to get to, you will need to allow a few hours due to infrequent buses. Jurinji is a 20 min bus ride from Hankyu Higahi-muko station by taking the Hankyu Bus route 66. Located a 20 minute walk from Arashiyama station, this small temple has probably our favourite Goshuin we have collected so far. 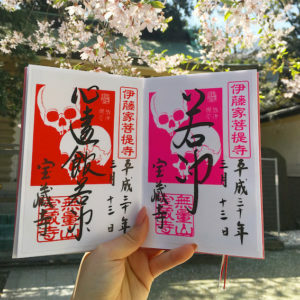 The wife of the monk illustrates unique drawings to match the calligraphy of the temple, and visiting in either spring, autumn or on select monks, you can receive one of a kind goshuin. You must book ahead to receive this goshuin, and only one person per half hour is accepted. 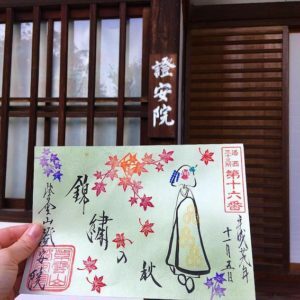 If you visit our workshop to make paper or washing paper craft and want to visit this temple, please let us know and we can help you book. 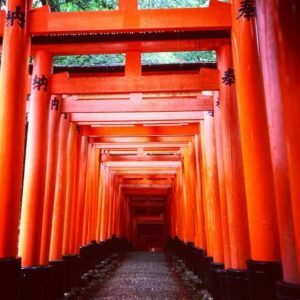 Probably the most visited place in Kyoto, Fushimi Inari is popular for a reason. 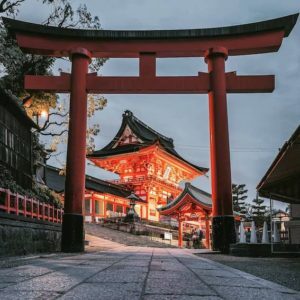 This beautiful shrine is the perfect place to take the most beautiful photos of the famous red tori gates. 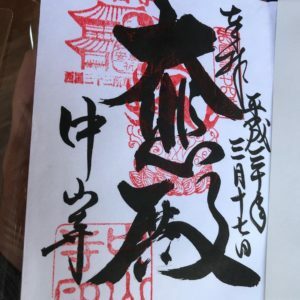 Many people don’t realise that you can also collect calligraphy from Fushimi Inari, with the goshuin seal good luck for business. 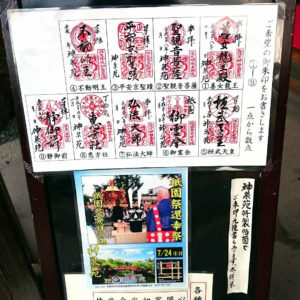 If you want good luck and success with your business, save the first page of your goshuincho for the seal from this shrine. 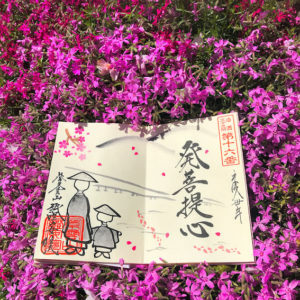 As this shrine is very popular and busy, you may need to wait to receive your goshuin, so you can drop off your goshuincho before walking around this beautiful shrine. 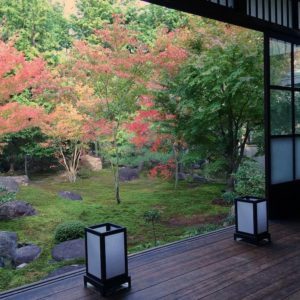 Shinsen-en Temple sits in the centre of Kyoto and is a Shingon Japanese Buddhist temple located south of Nijō Castle. 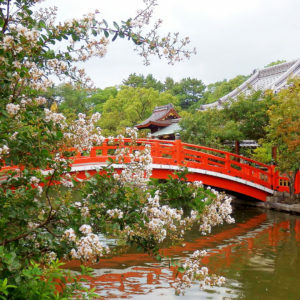 This temple and grounds are the remains of a former Heian Period pleasure garden built by former Emperor Kammu in 794. 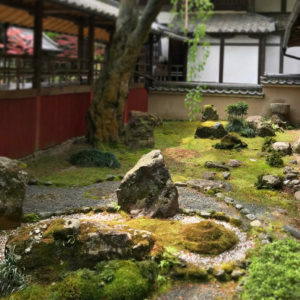 Shinsen-en has been restored to resemble its original layout with the Hojuju-ike pond at its center and a small island in the middle reached by a stone bridge and a curving vermillion bridge. 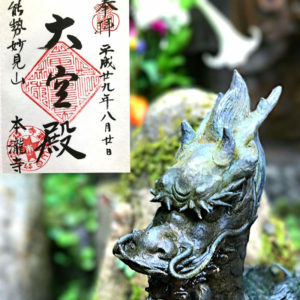 The island contains a shrine to the Dragon Queen, who was believed to inhabit the waters of the pond. 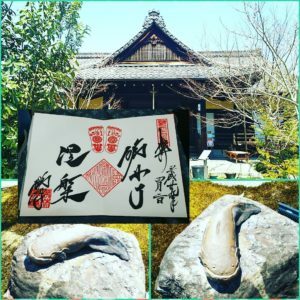 This temple is a good place to collect the calligraphy and seal for good luck with directions, and there are also various options to choose from. 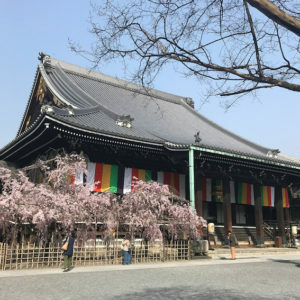 Located a short walk from Nakayama-kannon Station on the Hankyu Railway, Nakayamadera is a Buddhist temple in Takarazuka and is a beautiful temple with several buildings to explore. It is also famous for its blue five storied pagoda. 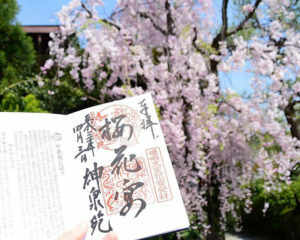 It was founded by Prince Shotoku, in the 6th century and one of the most popular temples in the region. 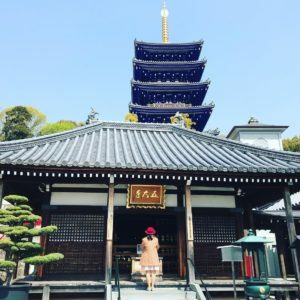 At this temple, you can worship Jūichimen Kannon, or the Goddess of Mercy with eleven heads who is believed to have the power to give babies and its easy delivery. 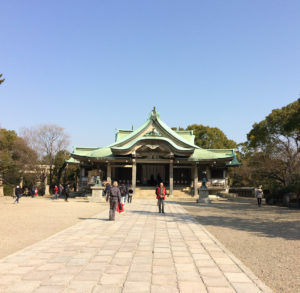 Hokoku Shrine is a Shinto shrine located in the grounds of Osaka Castle Park in Osaka. 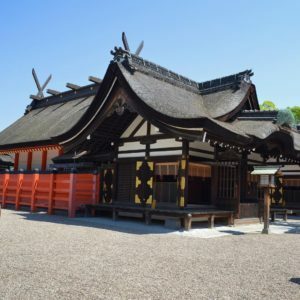 It is one of the many shrines built to honour Toyotomi Hideyoshi. Toyotomi Hideyoshi was a famous warrior, general, samurai and politician during the Sengoku period in the 1500’s. He is regarded as Japan’s second “great unifier” and brought an end to the Warring Lords period of Japan. 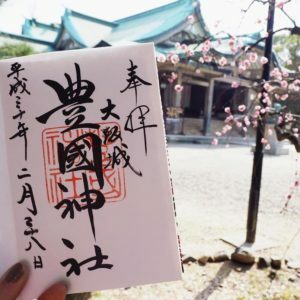 This shrine is a beautiful shrine that has no admission charge, and can be easily accessed after enjoying Osaka Castle and collecting calligraphy from this shrine will help you remember your visit to Osaka Castle.